Order: The First Need of the Soul. Why we must return to order. Order: The First Need of the Soul. Why we must return to order. Order is that state of things where everything functions according to its nature and end. When everything is doing what it is supposed to be doing, there is order “because nature is the cause of order” and “whatever does not possess order is not according to nature” (Saint Thomas Aquinas, In Physic., lib. 8, lect. 3, n. 3). Order stems from the principles of natural law by which we orient ourselves. Everyone needs some semblance of order to function properly. 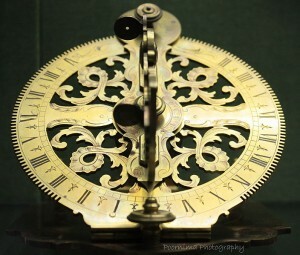 It is a primary need from which we get our bearings, as with a compass. As Russell Kirk states, “Order is the first need of the soul” (Kirk, Roots of American Order, 6). This same necessity of order can be affirmed about society: it is also the first need of the nation lest society decay into chaos. Freedom, justice, law, or virtue are all very important, but order is the first and most basic need. A return to order is thus a return to the principles of natural law. 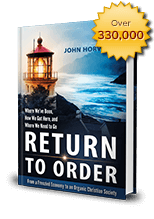 This entry was posted in Featured and tagged moral values, Natural Law, organic Christian society, Return to Order, The importance of Order by John Horvat II. Bookmark the permalink.